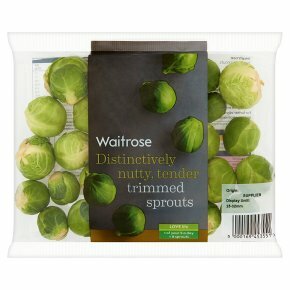 Distinctively nutty, tender trimmed sprouts - an essential for the festive season, but also try them raw, trimmed, washed, then finely shredded and tossed into salads and slaws. 800W 6 minutes 900W 5 minutes 1000W 4 1/2 minutes Place in a microwavable dish with 2-3 tbsp of water, cover and cook on full power. Stand for 1-2 minutes before serving.